Picture of the Week – Boulted Bread! Boulted Bread – Coming Soon! This week’s photo captures a new Triangle bakery is in the works. 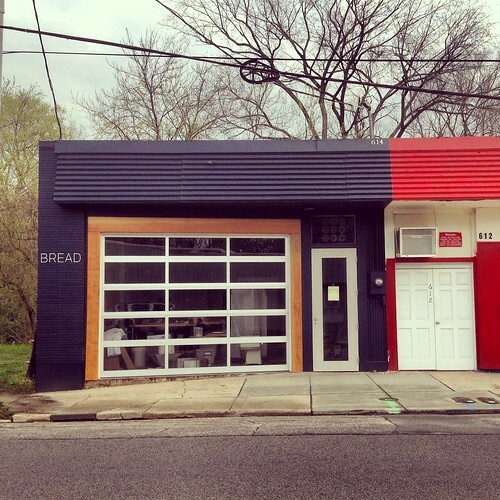 Boulted Bread is in the process of renovating a site located at 614 W. South Street in downtown Raleigh. This is over by the historic Boylan Heights neighborhood. Note the “Bread” sign on the left. The pictures of their test batches of bread on their facebook page look amazing. I’m really looking forward to their opening and will plan to do a full post once they open for business later this summer. In the meantime you can follow them using the links below for updates and pictures of their great looking bread!